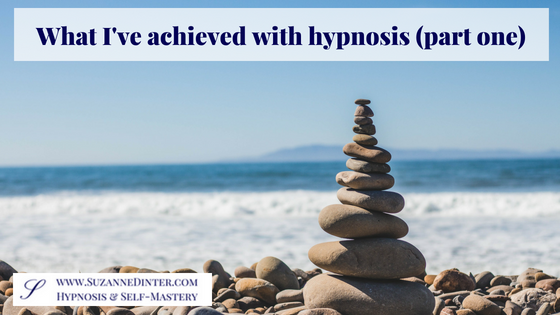 When I discovered hypnosis for myself in 2011, it was while I was looking for a way to keep the weight off. I’d gained a lot of weight after the birth of my first son in 2003 and was the heaviest and most unfit that I’d ever been. In 2007, I decided that enough is enough. So I willed myself to lose the excess 10 kilos/20 pounds with the help of my iron discipline and a certain company’s weekly meetings and points system. I remember the day I reached my goal weight and was called to go up in front of everyone to receive my gold-coloured keyring star (they’re so generous, haha!) to a round of applause. I was so relieved that I’d achieved my goal weight and I was the happiest I had ever been in my body. I had a flat stomach again, my arms were slim and my legs were more shapely and smoother than they’d ever been. I loved the look of my legs for the first time! But I was also confused. “What do I do now?” I asked the group leader gingerly. Surely I didn’t have to keep on counting points? She assured me with a beaming smile that of course I would have to continue counting my maintenance points for the rest of my life to stay at my goal weight. If I hadn’t already developed an eating disorder from all the obsessing for the past 8 months, I was convinced that I’d soon have one if I carried on analysing, planning and weighing everything that went into my mouth! So I went away from that last meeting with mixed feelings. I decided to abandon counting calories. Instead, I utilised my new-found knowledge about healthy food options and portion sizes. And I went back to relying on my self-discipline, hoping for the best. I maintained my weight more or less for a year and then, in January 2009, I became pregnant again with my second son. This time, I didn’t wait very long after his birth (about a year) to try to get back down to my ideal weight. I did enrol with the points peddlers again but my heart wasn’t in it this time, so I cancelled after a couple of meetings. What was bothering me was the fact that, although I have the iron will of an ox in comparison to most people I know, how come I couldn’t keep the weight off? Was it age? Or hormones? Or both? Was I doomed to feel uncomfortable in my body for the rest of my life? And why was it that, whenever I told myself that I wouldn’t eat chocolate anymore, I immediately reached for a bar? Lots of people I knew had admitted defeat to their heavy and sagging bodies and had adjusted their expectations and dress style accordingly. Not to mention compromise their happiness, health and longevity. But, always being one to rise to a challenge, dissatisfaction with my weight fired my resolve to find a way that worked long term for me. And that’s when I discovered hypnosis. If any of my story so far resonates with you, please comment below! Weight loss is about managing your mindset far more than minding the calories or food you eat. If you don’t deal with the underlying emotional causes you are on a losing game. I love the fact you recognised that. I’m tuned in for next week’s instalment! Can’t wait, Suzanne. You’re a hilarious writer. I had to laugh as I read this, particularly when you discovered the caveat to losing weight. I know it’s a serious topic and one that plagues so many people, but adding humour to it has got me hooked. Btw, I’ve never had a weight problem, although I come from a family of ‘heavy women’where the culture is big is best and food is the cook’s demonstration of love. I’ve put this down to mindset – deciding at a very early age that I would never be big like my female relatives. Now, I love my food, but I eat carefully and wisely and have something sweet once per week and no more. 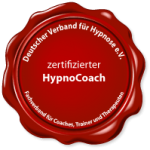 Looking forward to reading about the role of hypnosis in your quest for the ideal weight. Thank you for your support, Claudia!